Randy Fox is a professional speaker, leadership expert and NCAA basketball official who inspires organizations and individuals as they seek to maximize their potential and performance. It is all about people with Randy, who delivers presentations that are built on heartwarming stories, inspirational quotes, humor, video and memorable content that engages, inspires and connects with people for their journey of success. 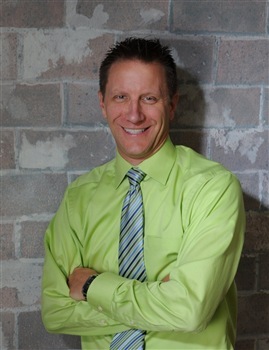 Randy brings high energy, a passion for people, and an engaging approach to motivating and inspiring others to achieve great results. Whether you need a 1 hour keynote or a custom workshop, your team, group and organization will learn, be challenged, and enjoy the time they spend with Randy. Are you ready? As he says, "The World is Waiting for YOU!" His resources are perfect for any organization looking to move forward, be focused and make progress. character, passion, legacy. An encouraging & challenging presentation to build up leaders. Success is not a solo effort. Together everyone accomplishes more. The power of appreciation. The importance of playing your part. Learn how persistence and overcoming obstacles increase the likeliness of success. How to Get Along with Those That Don't Deserve It! A fun and engaging look at personalities. Understanding reduces conflict and increases productivity. Laugh and learn as you begin to understand and respect the differences in your leadership team...your greatest asset! Sure, you have one, let's maximize it! Laugh, reduce stress, and start living a full life. Seven secrets to sustaining success. Practical and effective actions for the workplace...and your life. 20-year corporate leader and NCAA basketball official, Randy Fox turns everyday people into superstar leaders. Are you ready? Be inspired to change the world! As a professional speaker and Founder of FoxPoint, Randy uses his experience and energy to engage audiences to transform their leadership. Randy is a professional member of the National Speakers Association, the author of Soul on Fire, Refined by Fire, and A Leader Worth Following, the Coordinator of Officials for the Midwest Conference for NCAA Basketball Referees, and a former Director of Marketing, Vice President of Operations, and Plant Manager. National media have featured Randy on 21st Century Business Television, The Start Up Biz Coach Radio, Loyalty 360, Prepaid Press, and more. Randy is happily married to his wife Marne, and loves living life with their three children. Please note Randy Fox will also travel to Madison, Lebanon, Mount Juliet, La Vergne, Hendersonville, Hermitage, Ridgetop, Smyrna, Antioch, Gladeville, Old Hickory, Lascassas, Arrington, Murfreesboro, Nolensville, Brentwood, Norene, Watertown, Gallatin, Goodlettsville, Milton, Auburntown, Castalian Springs, Franklin, Mitchellville, Whites Creek, Christiana, Alexandria, Readyville, Rockvale.